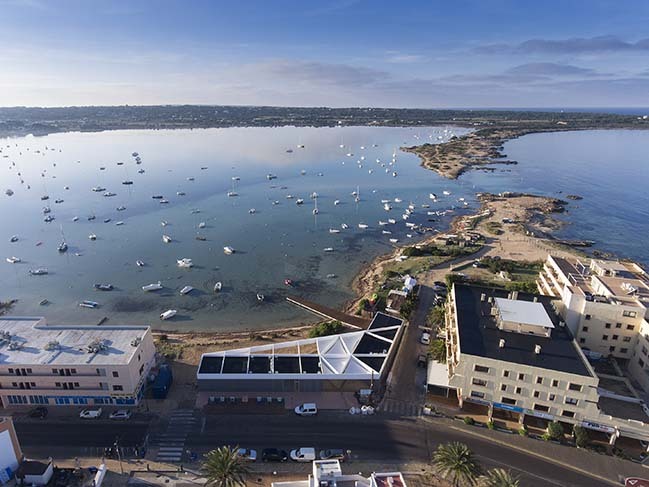 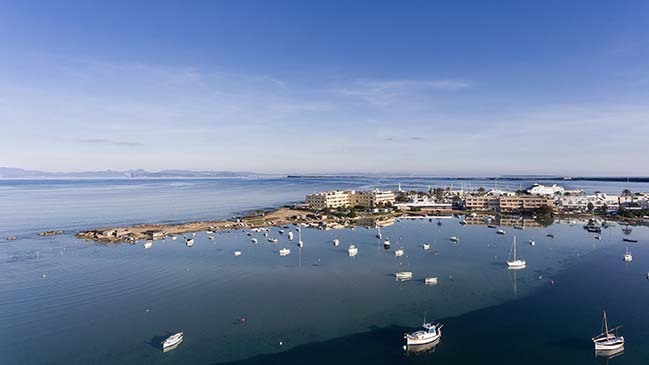 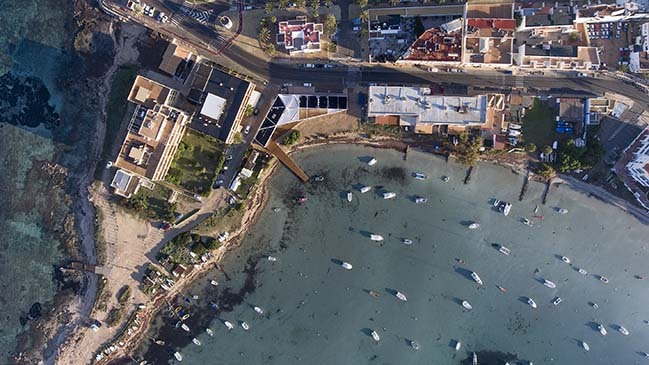 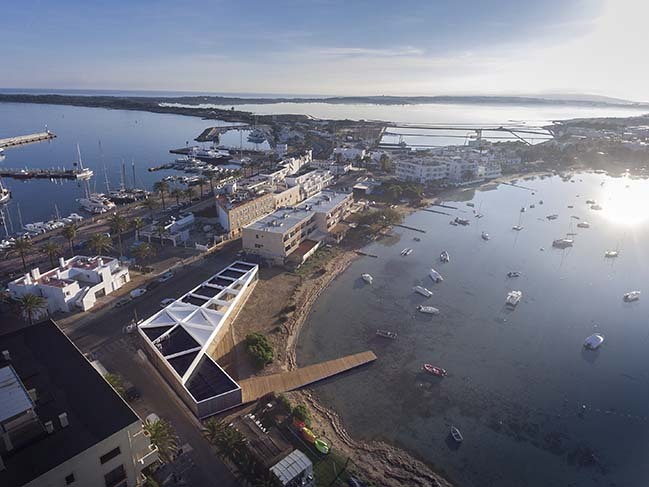 The port of La Savina is the main point of access to Formentera island. 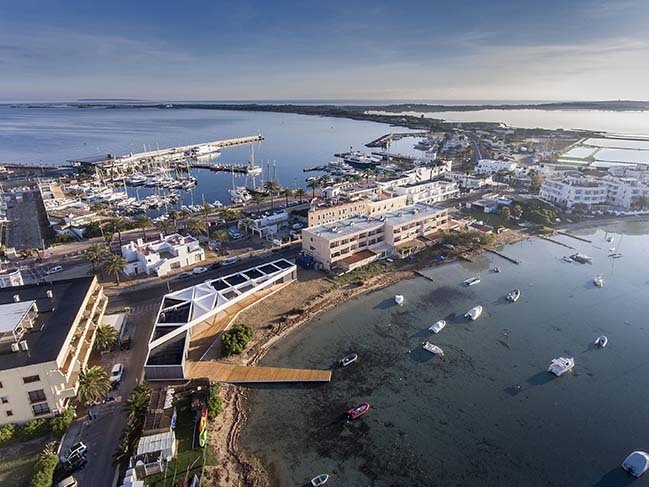 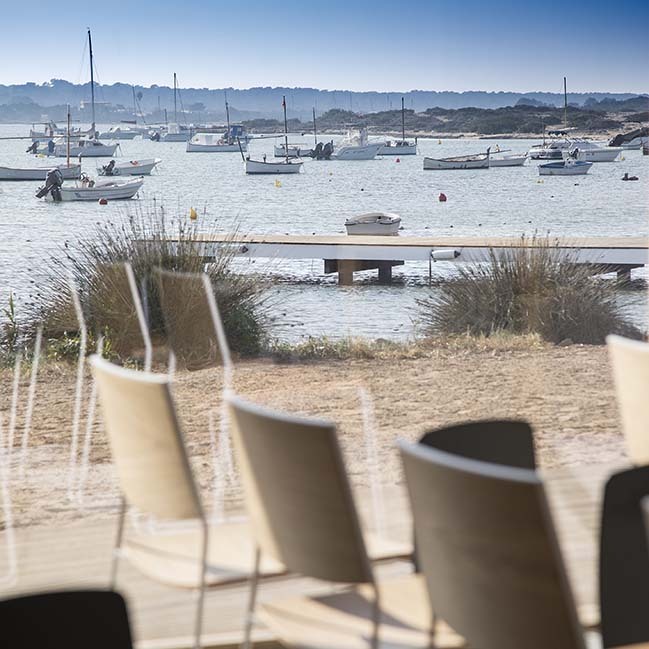 Its important geographical location makes it the border between an urban area, the Mediterranean Sea and a saltwater lake which forms part of Ses Salines Natural Park. 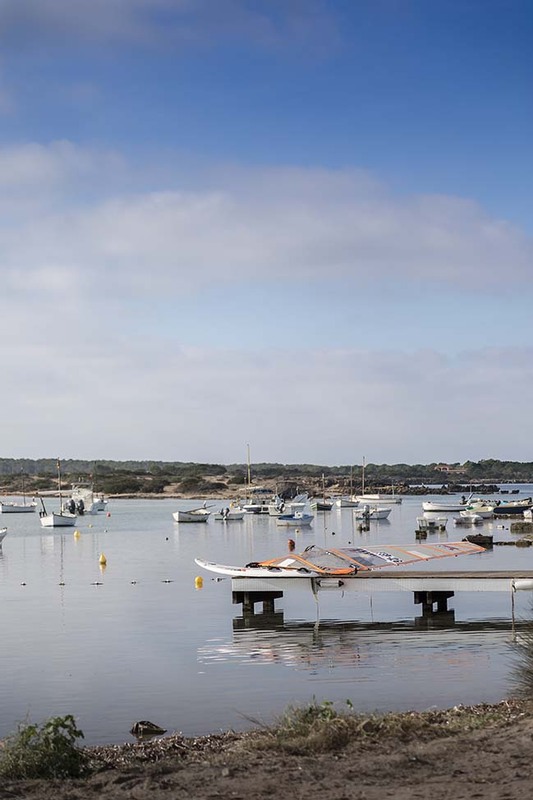 From the architect: Giving protection to the open sea, this lake has traditionally been used as a natural harbor to anchor small fishing boats. 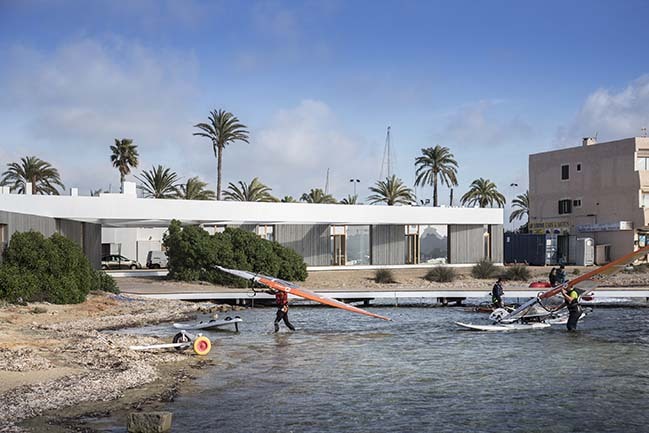 And, currently, the administration has deemed it suitable to house the municipal sailing school as well as other nautical sports and activities. 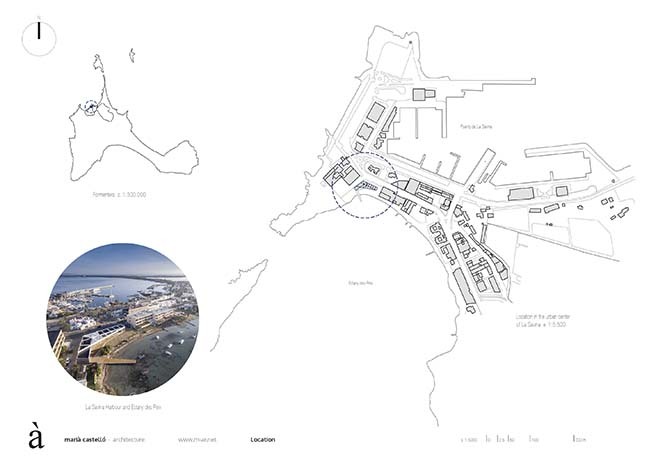 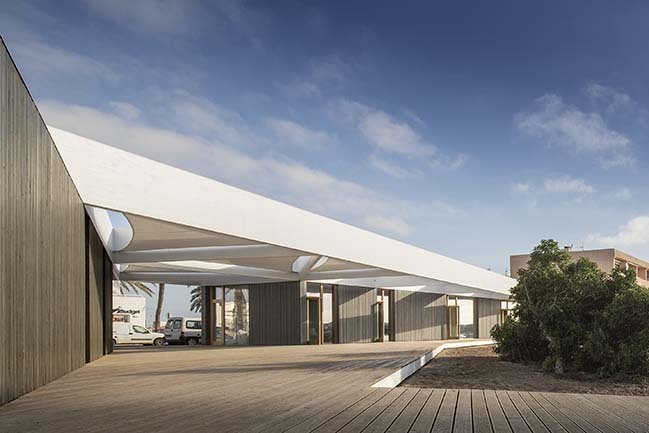 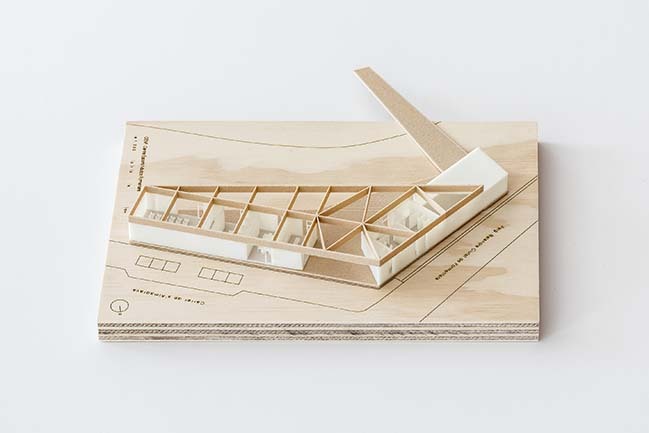 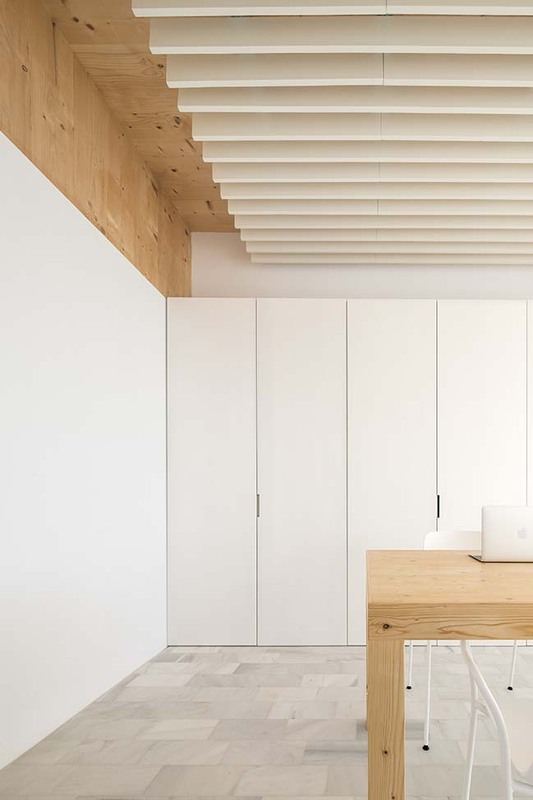 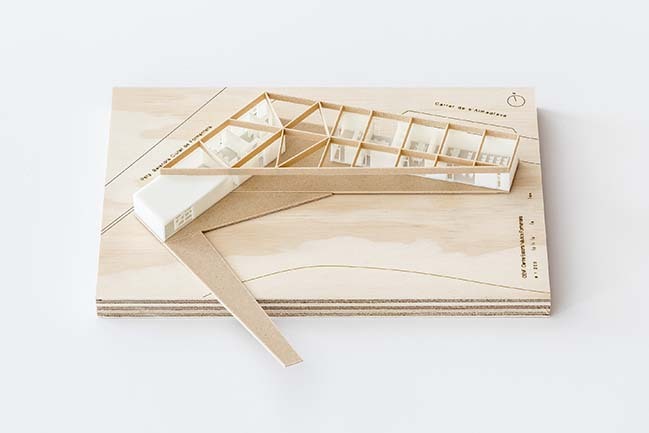 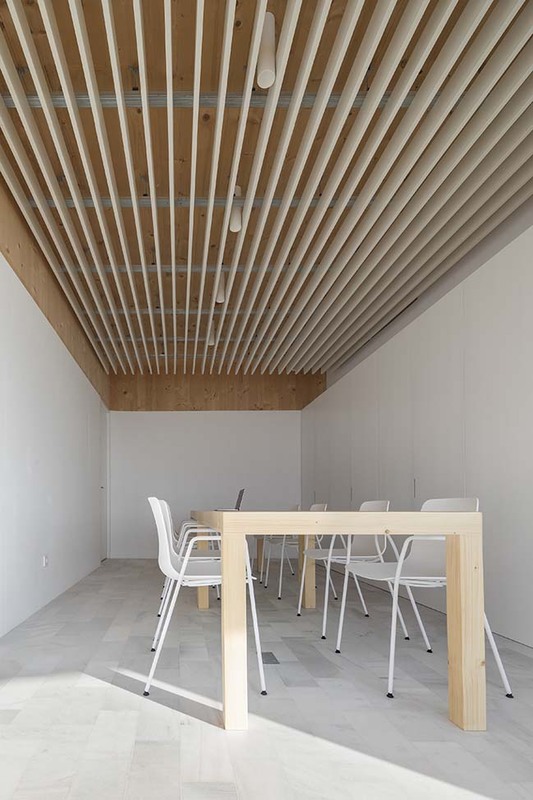 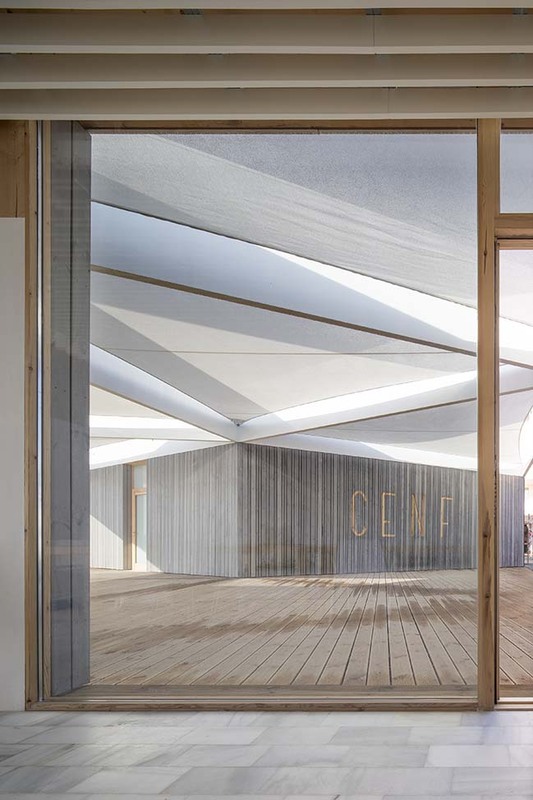 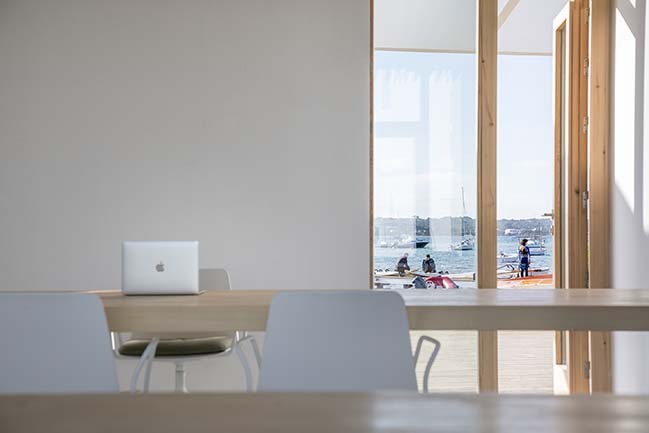 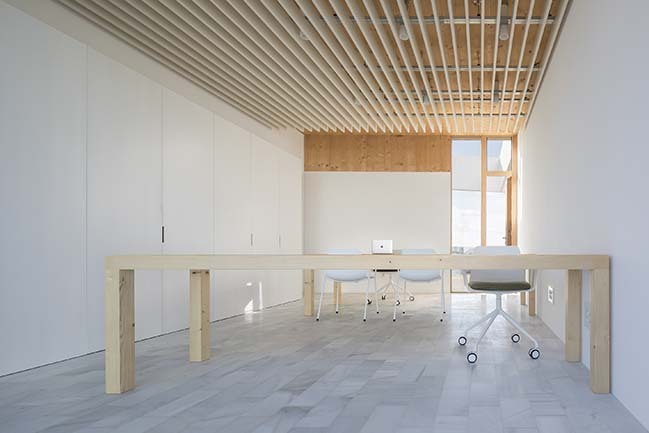 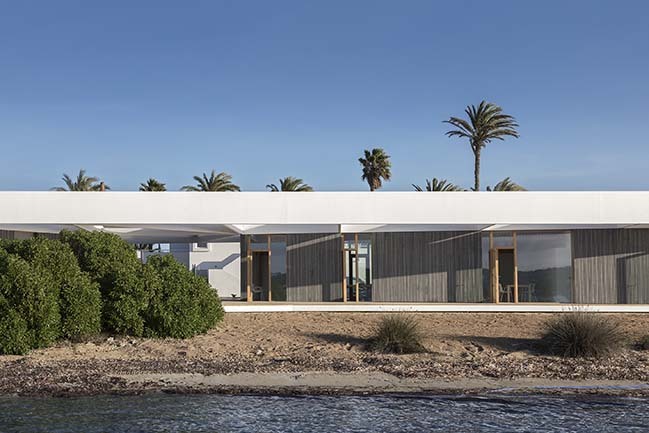 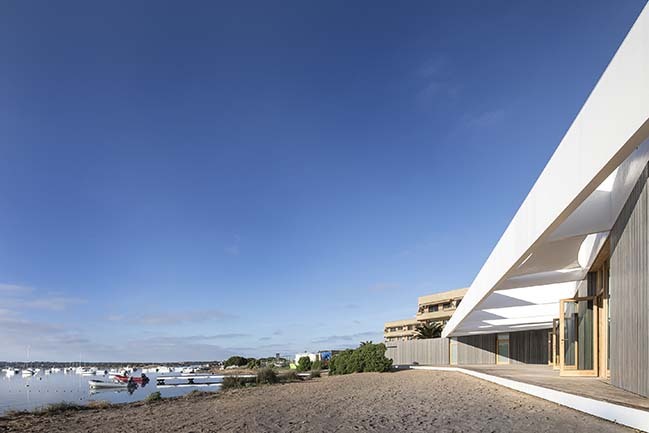 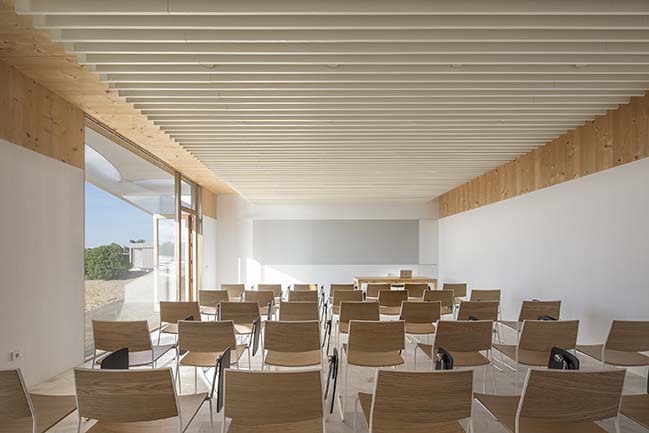 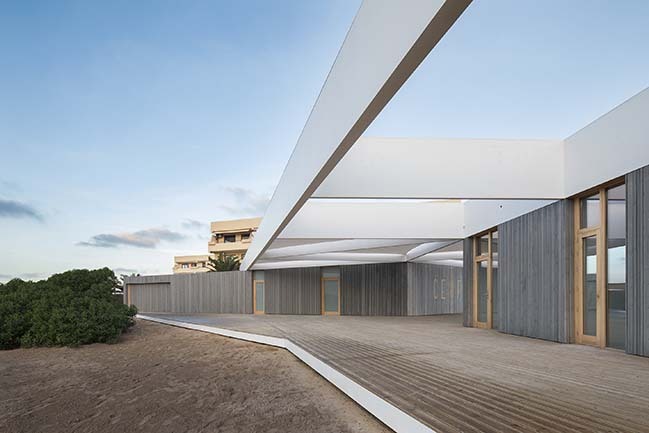 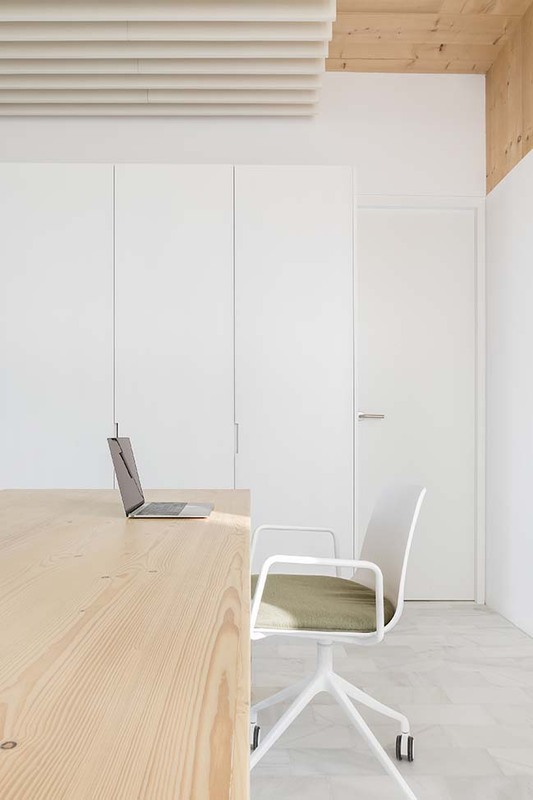 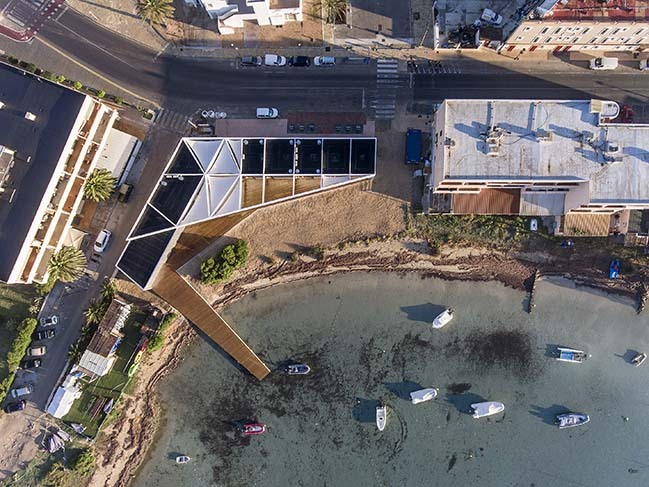 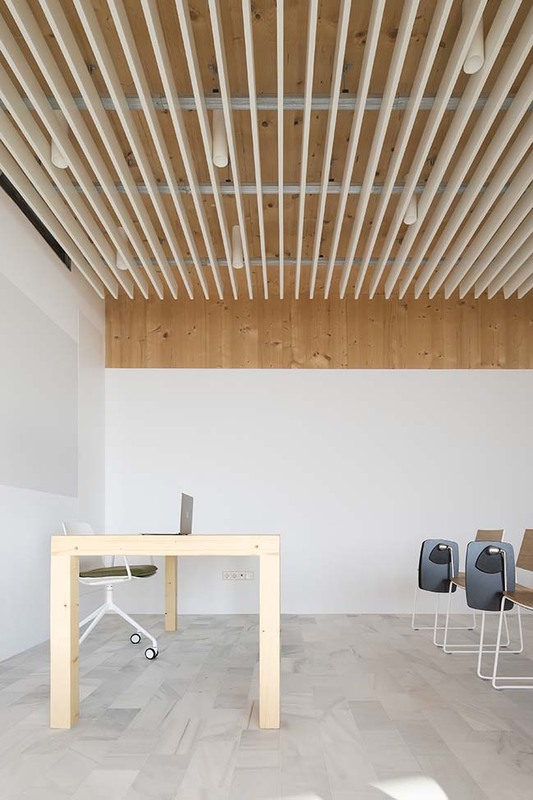 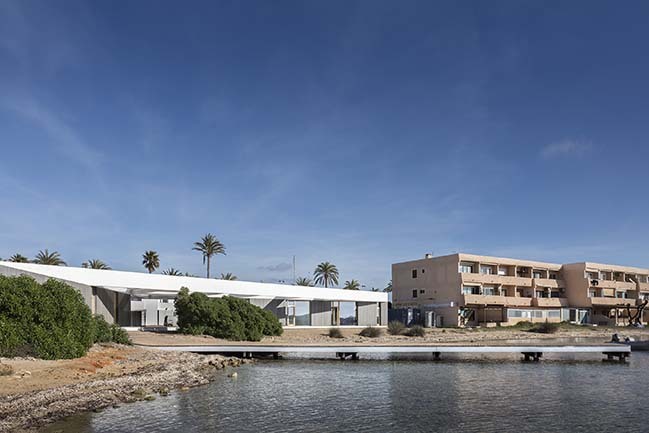 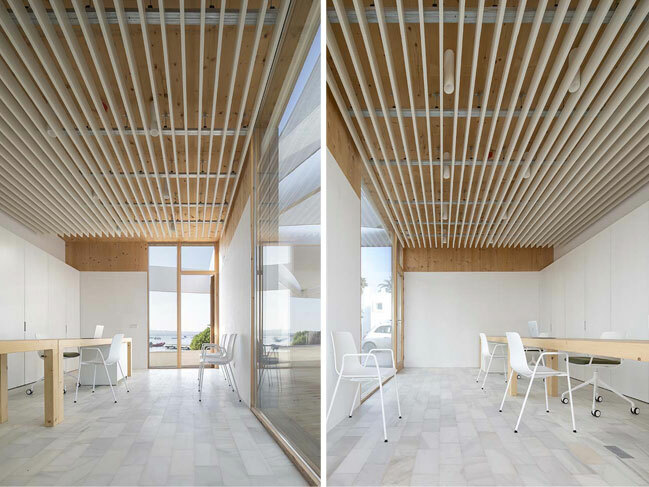 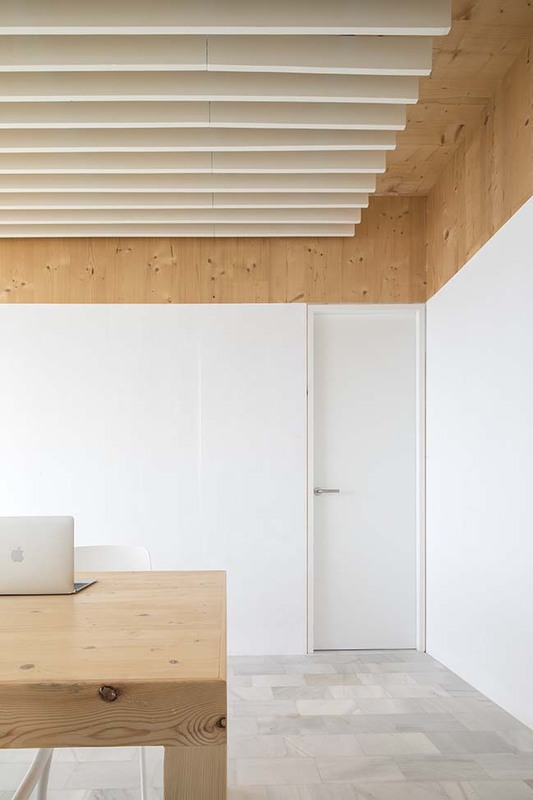 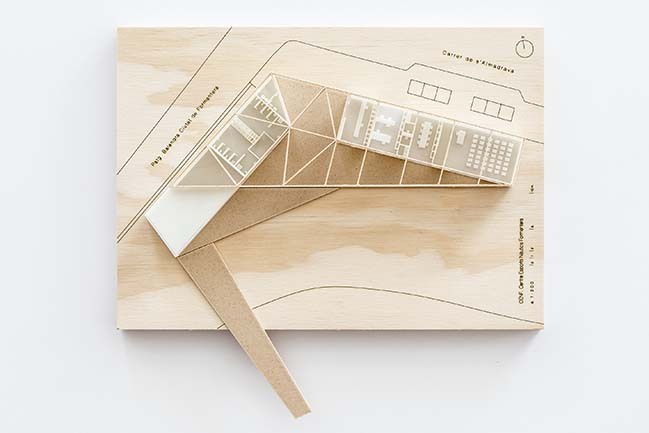 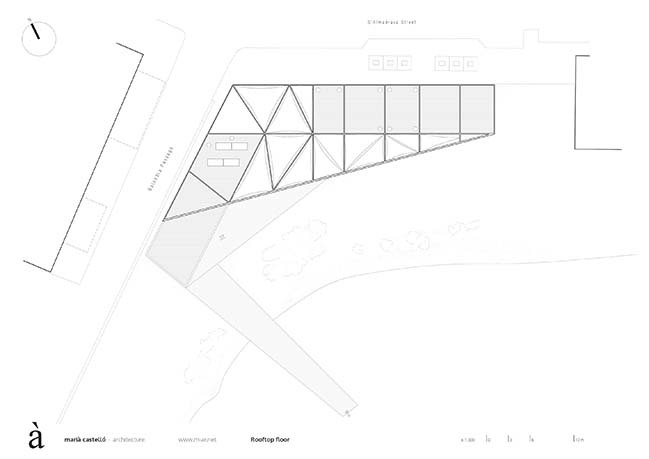 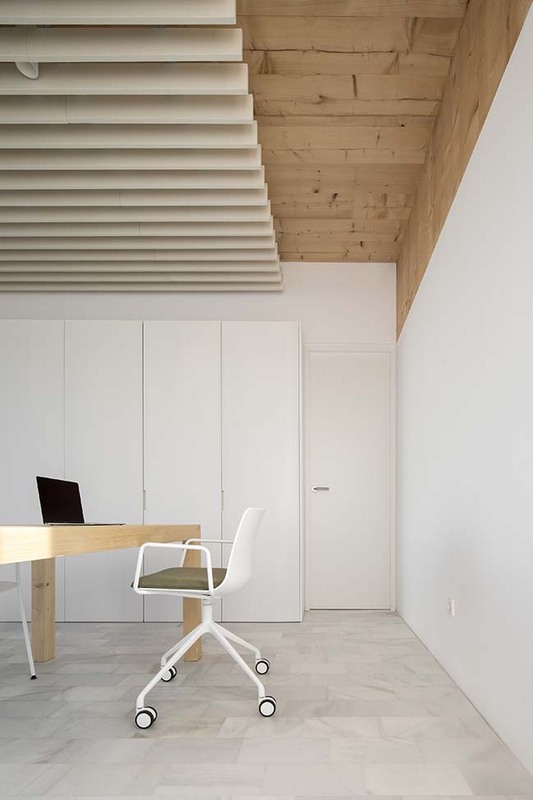 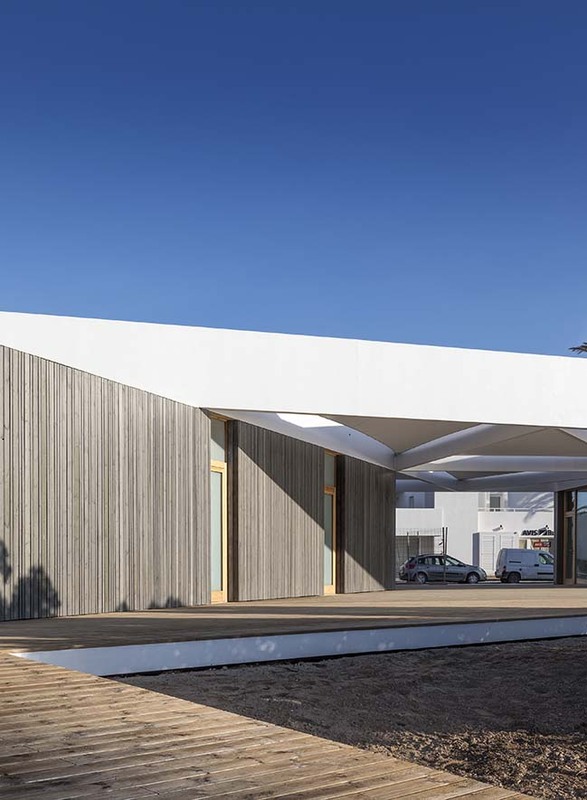 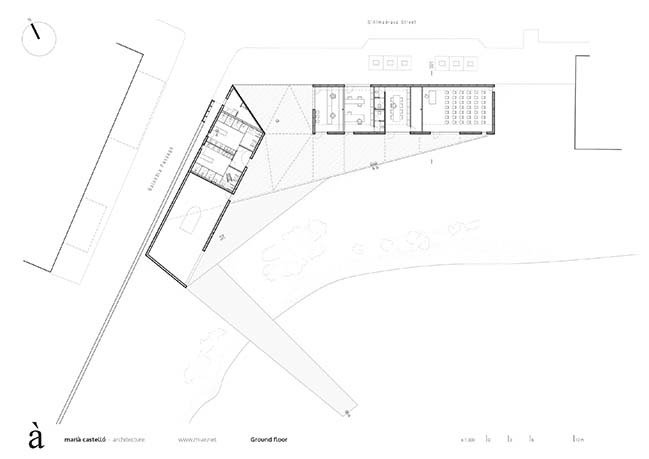 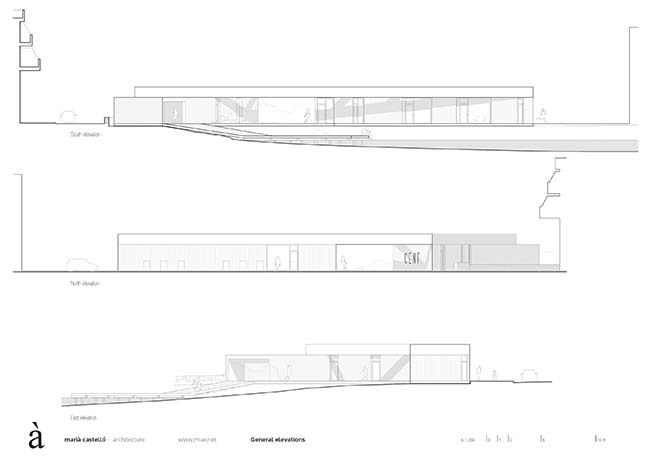 The functional program offered a duality (classrooms + offices versus workshop + dressing rooms) that has divided the volumetry into two independent parts aligning the first one with Almadrava Street and the second one with the passage of Balandra. 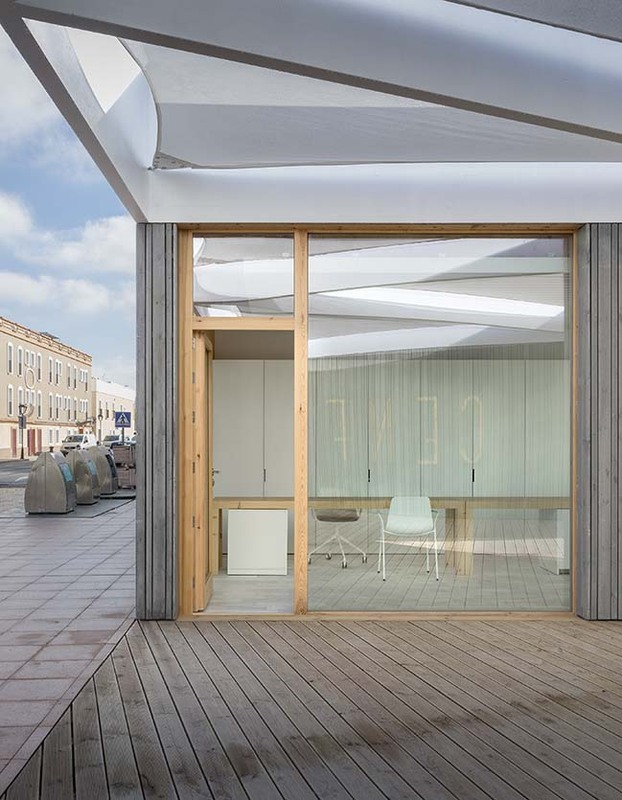 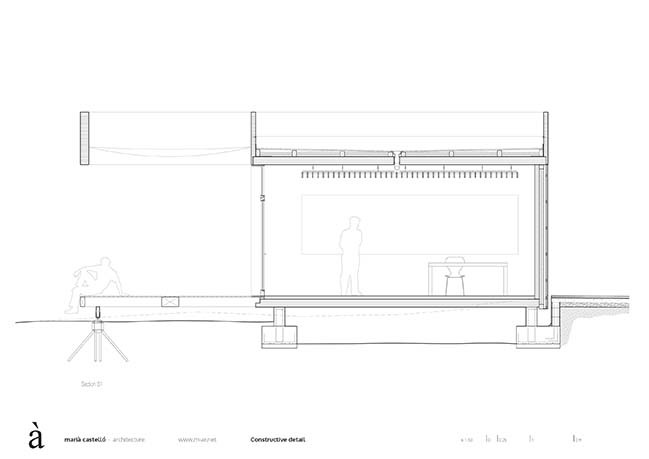 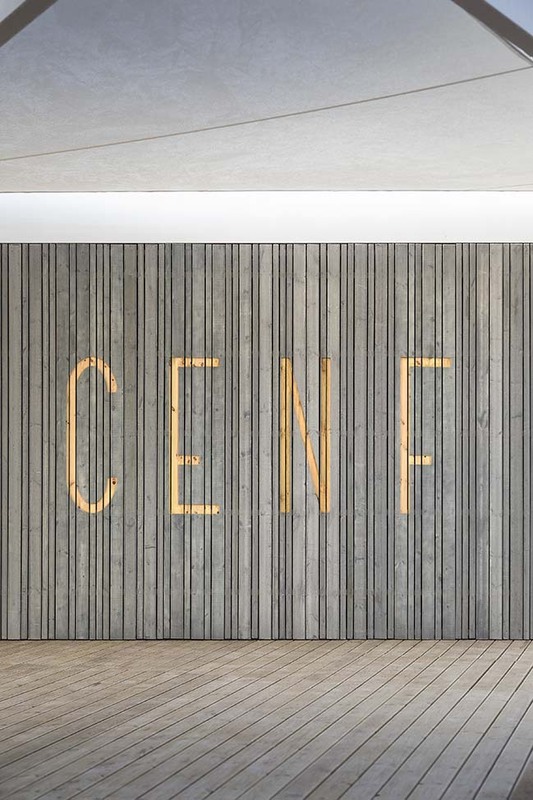 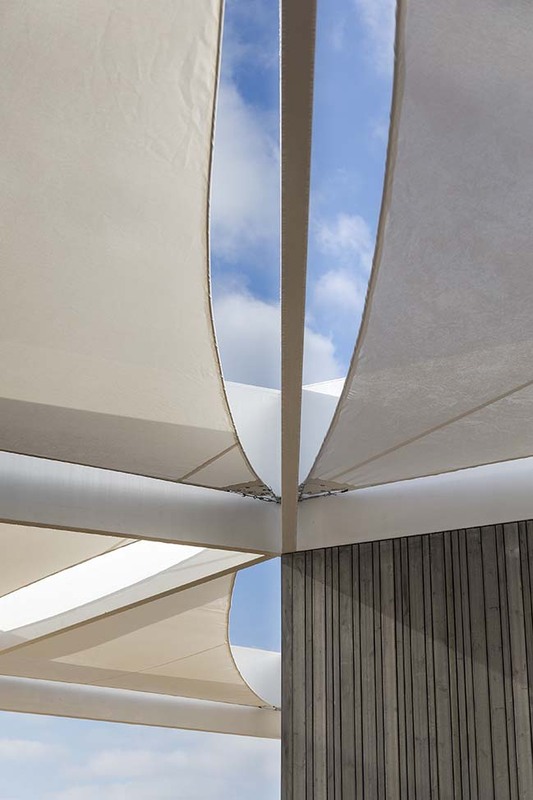 At the intersection of both streets, the building offers an empty space with its visual permeability that incorporates the main access to the equipment. 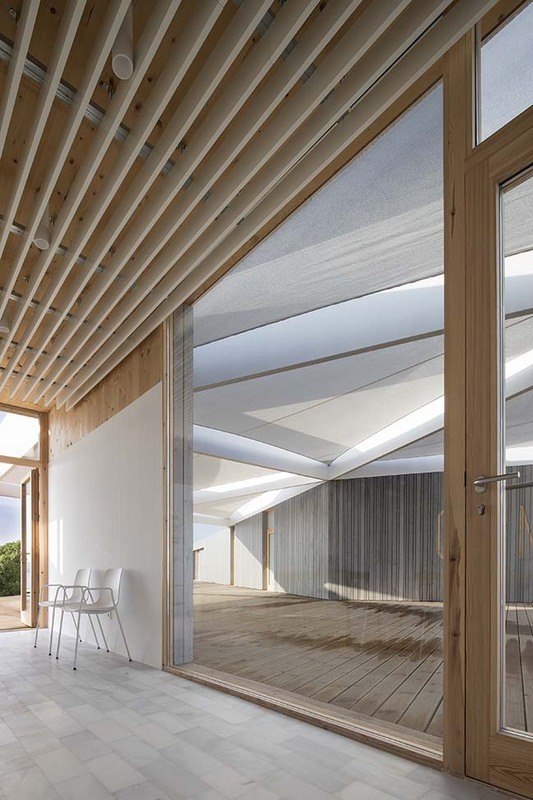 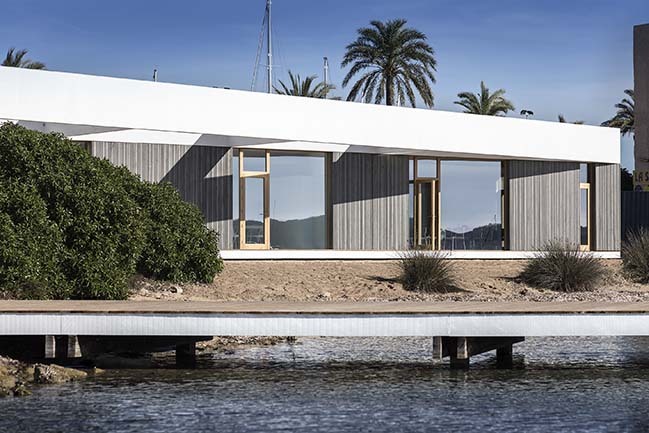 Between the two described volumes, there is a structure that provides a chill-out zone in the shadow and with its oblique geometry invites to enjoy the amazing views opening towards Estany des Peix. 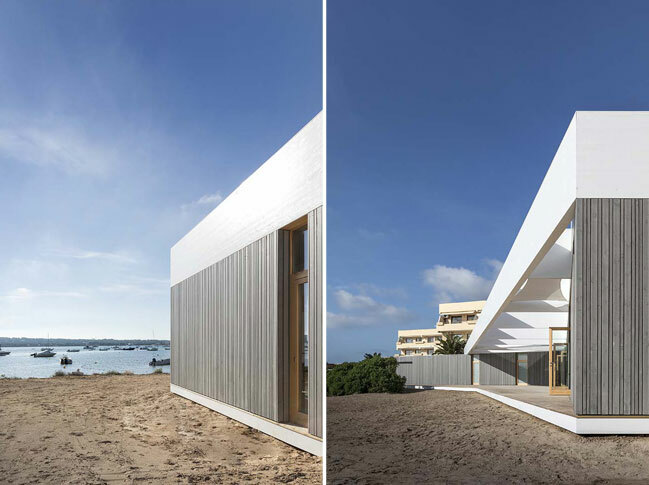 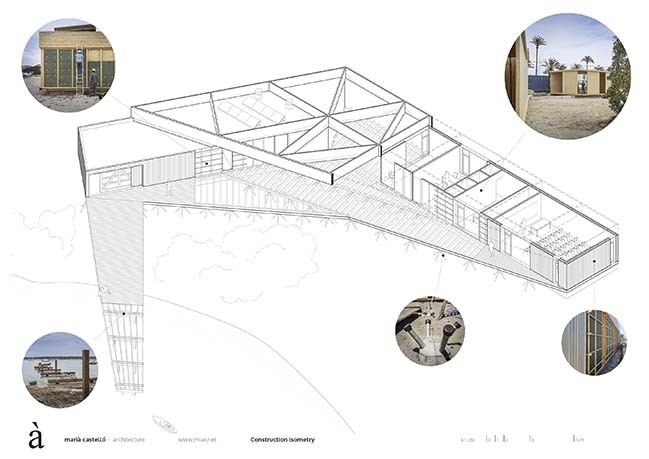 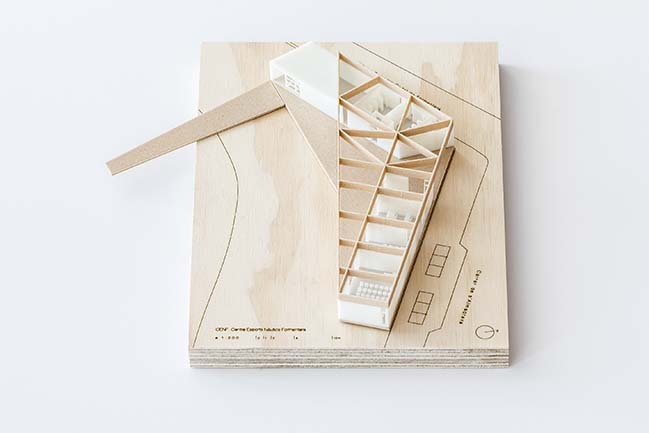 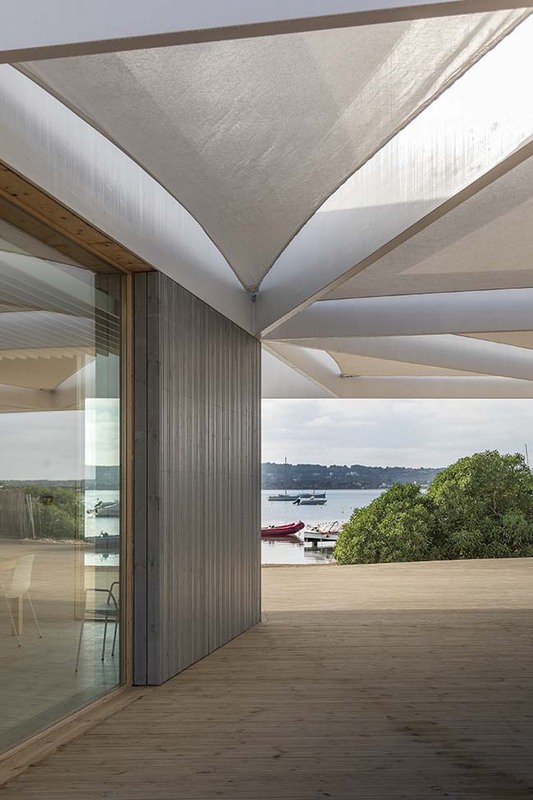 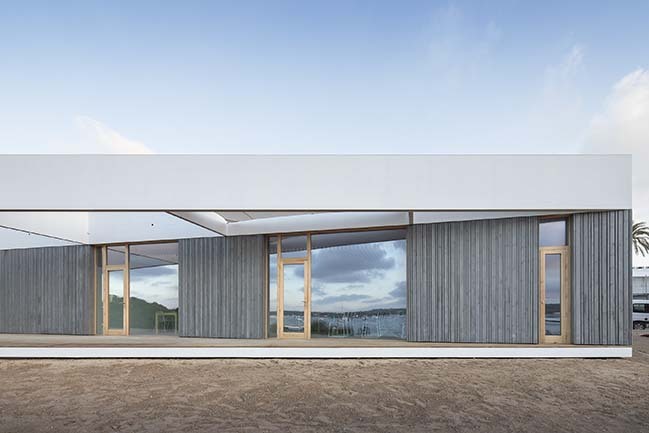 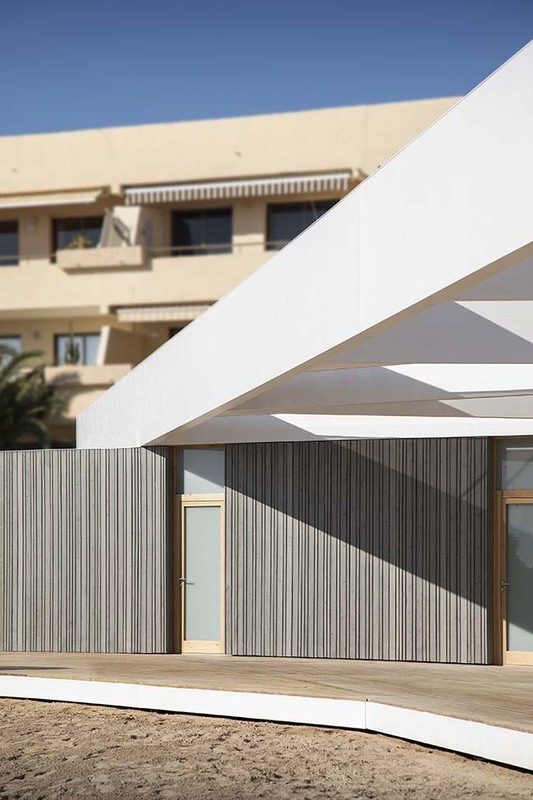 Through a tectonics based almost on a single material, a lightweight building has been erected, built in dry and with low environmental impact. 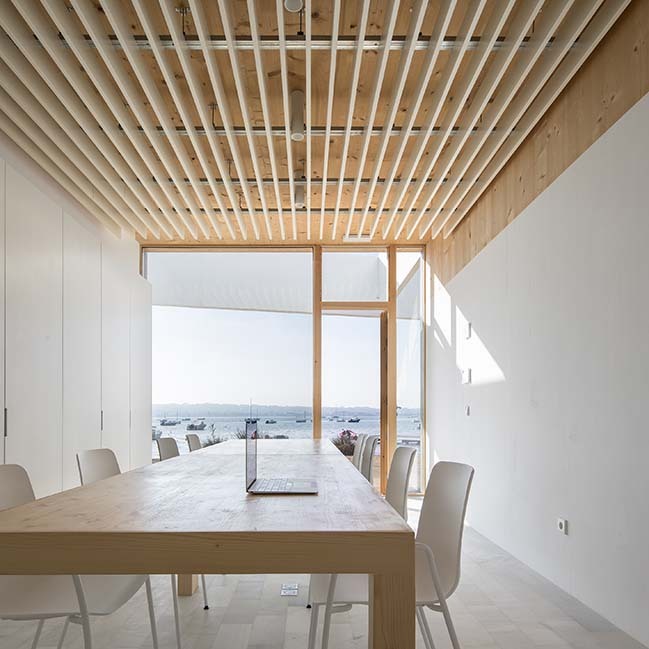 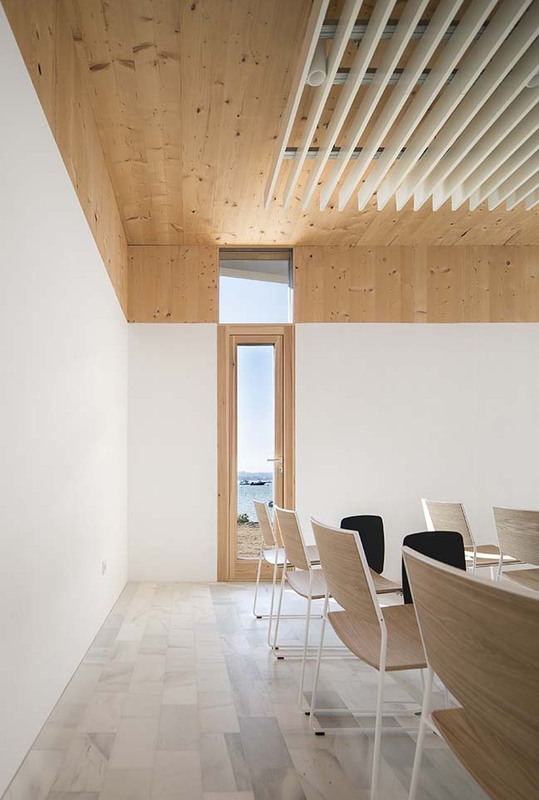 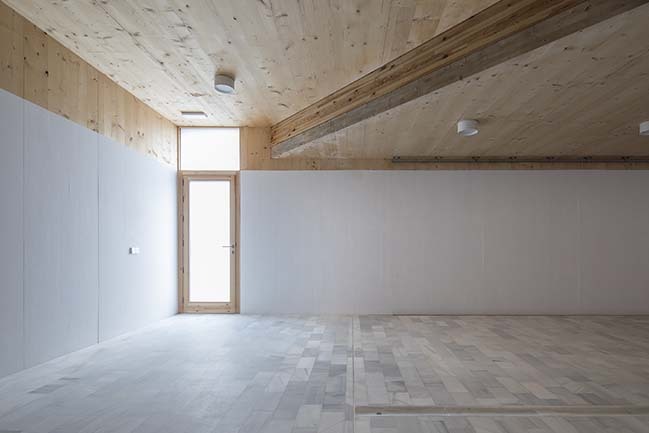 Similar to the boathouses that traditionally were built on the island coast, wood is the material par excellence, manifested in different forms and types depending on the requirements. 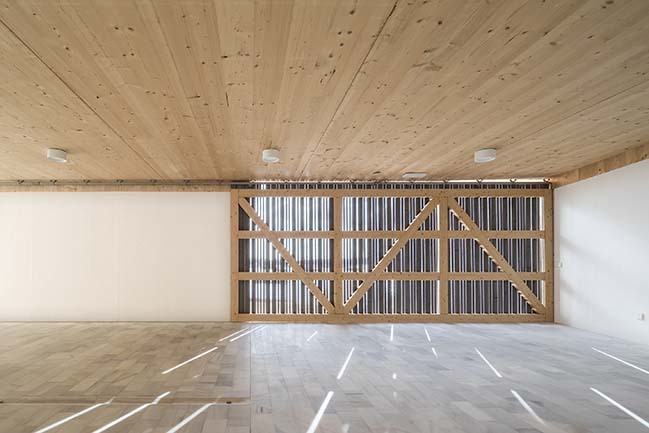 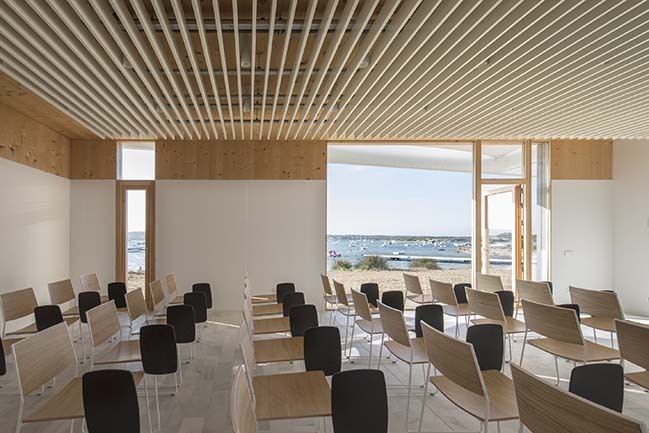 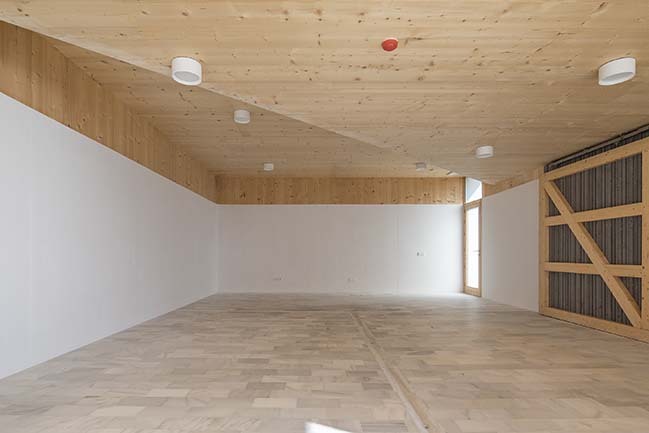 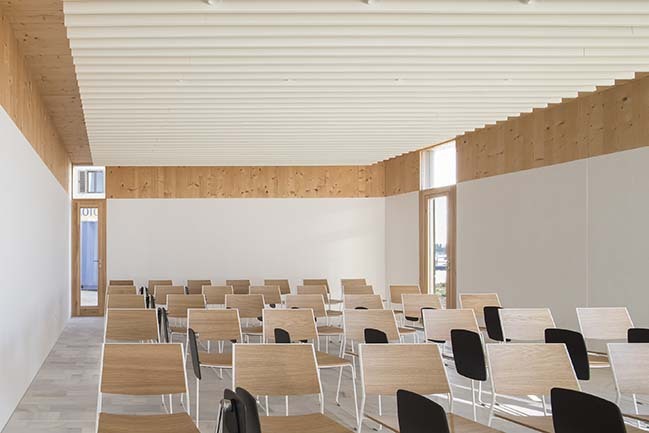 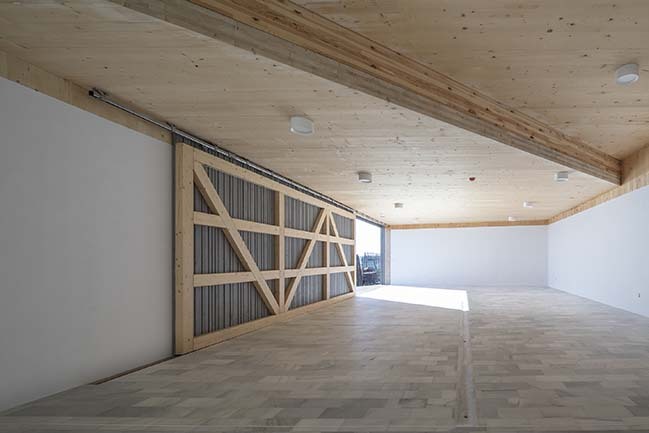 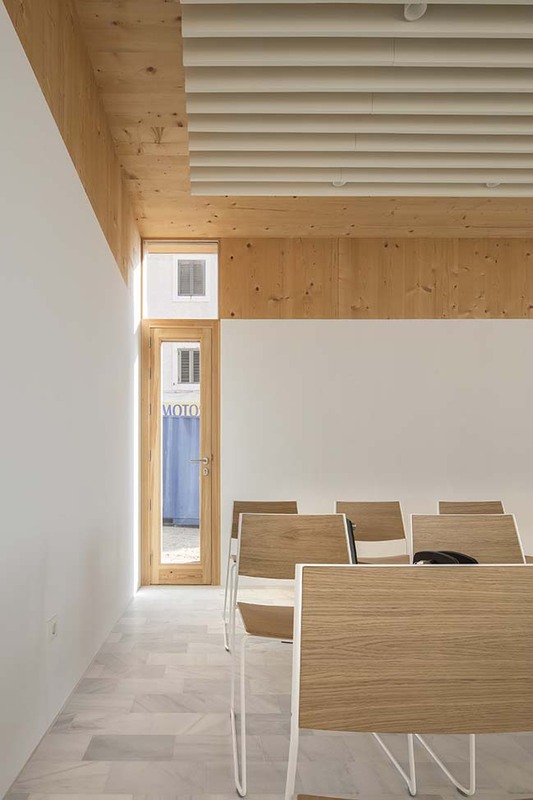 Thus the main structure made with CLT, has allowed to bring together structure, enclosure and coating in most of the panels of cross-laminated timber. 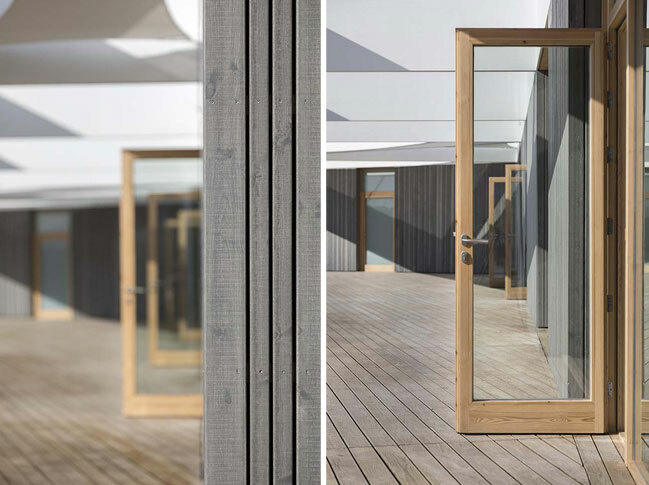 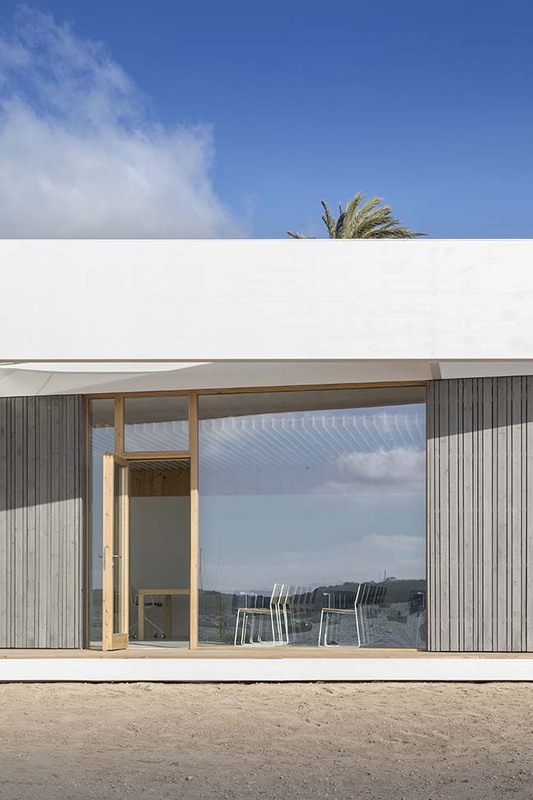 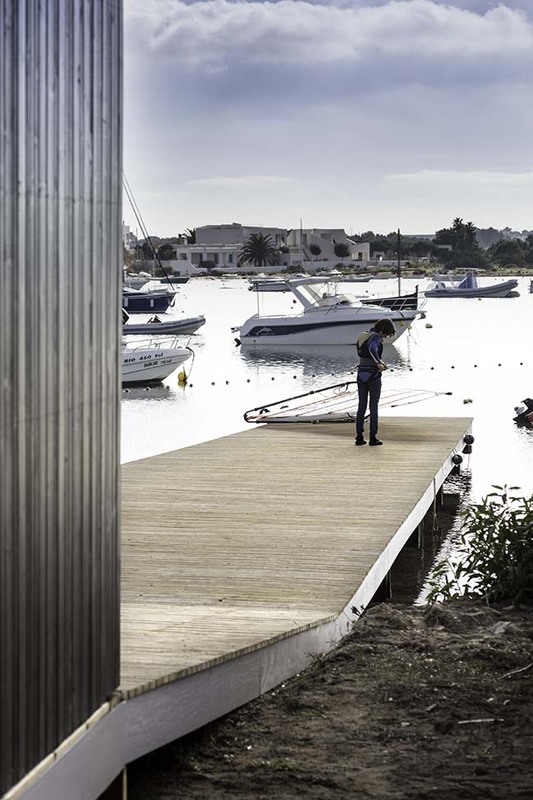 A harmony that continues in the chosen solution of ventilated facade, where battens and coating slats are executed in pine R.3.2 taking over time a characteristic gray patina. 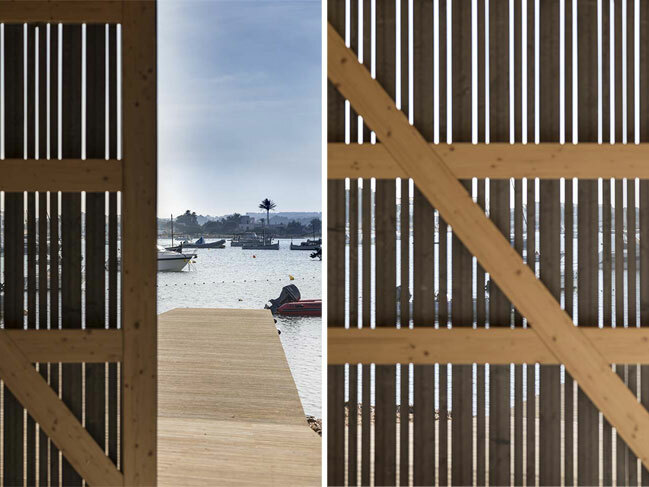 The dock resorts to the traditional technique of wooden piles submerged below sea level, while the outer platform is suspended on a minimum foundation, prefabricated and reversible, based on surface micro-piles.